Yargle, Glutton of Urborg (Yargle, Gierschlund von Urborg) inkl. 0% MwSt. 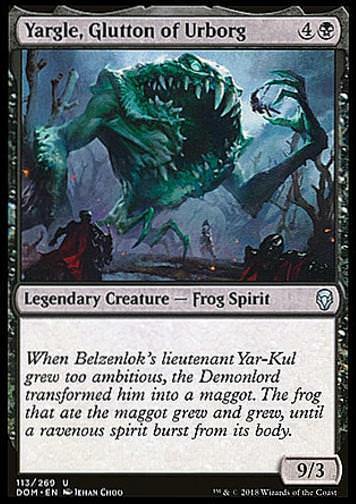 Regeltext: When Belzenlok's lieutenant Yar-Kul grew too ambitious, the Demonlord transformed him into a maggot. The frog that ate the maggot grew and grew, until a ravenous spirit burst from its body.